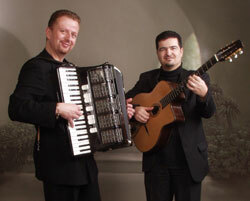 The best of French chanson and jazz to add a touch of class to any event! Guitarist of «ESCAPADE»;Trio with Patrick NUGIER and Dominique CHAGNON. Performs in numerous concerts throughout Japan. Luxembourg and the South of France. Leader/guitarist of the quintet «JEZZABEL». 1CD.